Ajay Devgn and Ileana D’Cruz promoted their upcoming film Raid on the sets of the TV show Super Dancer Chapter 2 in Mumbai on March 5, 2018. Ileana and Ajay were earlier seen in the film Baadshaho and have once again featured in the upcoming crime drama flick Raid directed by Raj Kumar Gupta. 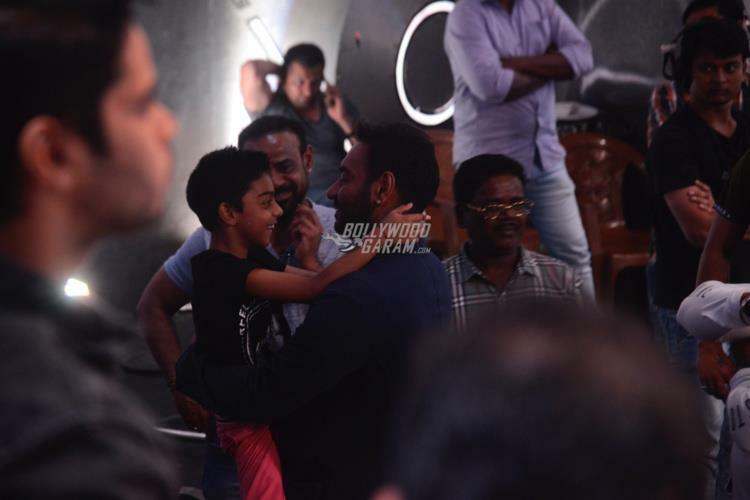 The show sets not just saw Ajay and Ileana, but even Ajay’s son Yug had accompanied father on the promotional event. The father and son duo were seen sharing a candid moment together on the sets. 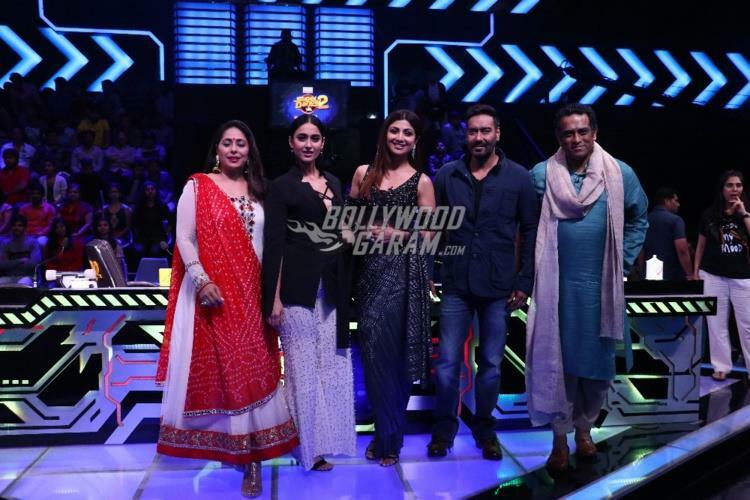 The actors had a great time interacting with the judges Shilpa Shetty, Anurag Basu and Geeta Kapoor and the contestants of the show. 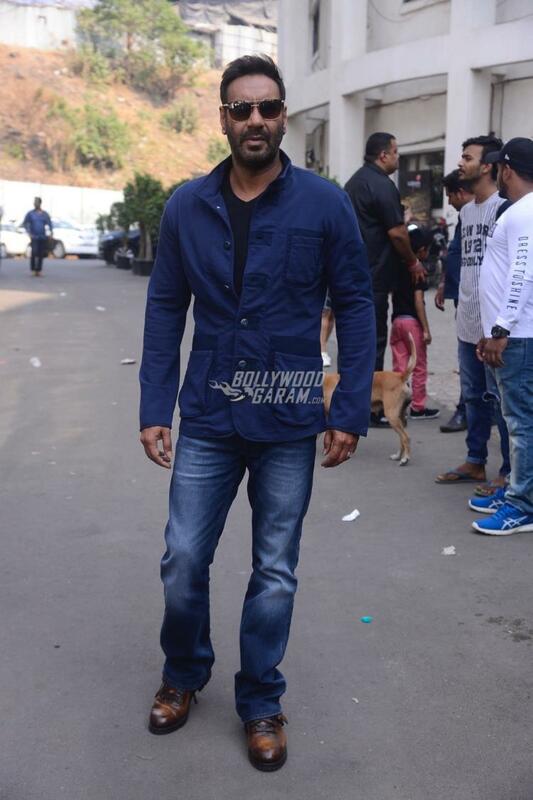 Ileana looked pretty in white wide-legged pants with a black top and a black jacket while Ajay looked cool in a black t-shirt, blue jacket and blue denims. Judge Shilpa Shetty as always grabbed everyone’s attention with her fashion sense. The Dhadkan actress looked pretty in a black sari and a black designer blouse.